Identify and overcome barriers to safety in our laboratories. Develop and share best practices. Streamline oversight processes to reduce administrative burden. Lead to the development and implementation of services, approaches and tools that significantly improve laboratory and chemical safety throughout the University. Provost Baldasty invited a pilot group of 90 laboratories, encompassing 33 scientific departments, to work with EH&S on the initiative. These laboratories are representative of many complex laboratories using hazardous chemicals and have opportunities for improving their performance ratings. While all other research laboratories will continue to be surveyed for laboratory safety every 12 to 18 months, the pilot group will be surveyed three times over a 24-month period by EH&S professionals, who will work with them to provide coaching, tools and expertise aimed at improving laboratory safety profiles. Support, such as the provision of personal protective equipment, recognition for high-performing laboratories, and other appropriate provisions, is being considered as an incentive for participation in the pilot group. Provost Baldasty has appointed an advisory task force consisting of departmental deans, chairs, principal investigators, lab managers, administrators and safety professionals to advise EH&S for the duration of this initiative. The knowledge and expertise of this task force, combined with the collective knowledge of the laboratory community, will help ensure that this initiative will facilitate safe research which meets requirements for health and safety and adds value to the University’s mission. Surveys conducted as part of the LSI will be EH&S Laboratory Safety Surveys. Research labs at UW may be surveyed or inspected by multiple groups, depending on the types of research being conducted. Find out more about the different survey and inspection categories on the UW Research-Related Survey Groups Focus Sheet. EH&S News - EH&S News is a bimonthly newsletter for UW faculty, staff, and students. The newsletter focuses on resources that support the UW safety culture, helpful safety information, and updates on the Environmental Health and Safety department. You can sign up to receive it in email form or look at past and current issues here. Lab Safety Initiative Updates - EH&S sends out the Lab Safety Initiative Newsletter to PIs and Lab Managers periodically to keep our community informed of the initiative’s progress and announce new developments and resources. EH&S has selected 30 questions from its Laboratory Safety Checklist which focus on chemical safety, training and personal protective equipment to establish a laboratory safety performance rating. These questions are common to institutions performing laboratory safety programs and have been vetted by the advisory task force as questions that would be well received and accepted by the research community and as areas with opportunity for improvement. The new version of the Laboratory Dashboard allows PIs to view their individual laboratory’s safety performance rating, their department and college average, the UW-wide average and the UW laboratory safety performance target. Understand your responsibilities as a dean, director, chair, investigator, lab manager, safety professional, administrator and student as outlined in Executive Order 55, Lab Safety Manual Section 1C, and the UW Lab Safety Responsibility Matrix. Chemical SOP templates were developed as part of the LSI and are available for use by any UW lab. If used by your laboratory, the templates must be modified and customized as necessary to make them specific to your laboratory conditions. Please visit the Chemical SOPs page for a complete list of SOP templates. This list of links is an informal collection of websites that offer training videos covering best practices for working in laboratory spaces, using specific types of laboratory equipment, handling certain chemicals and dealing with different types of emergencies that can happen in a laboratory. Dow – Dow Chemical Company’s collection of videos aimed at introducing laboratory staff and students to safe laboratory practices with some basic understanding of key principles of behavior within the laboratory setting. JoVE - Journal of Visualized Experiments, is the world's first peer reviewed scientific video journal devoted to publishing scientific research in a visual format to help researchers learn new experimental techniques. Lab Safety Institute – an international nonprofit education organization for laboratory safety, provides laboratory safety training videos through their YouTube channel covering a wide variety of laboratory safety topics. Lab Safety Workspace – this group offers free, short safety training courses to scientists. It is a joint project of the New Hampshire IDeA Network of Biological Research Excellence (NH-INBRE), the Environmental Health & Safety (EHS) office at Dartmouth College, and BioRAFT. Northwestern University – this university maintains a library of safety videos on best practices for various lab equipment and chemical usage, including liquid nitrogen tanks, biological safety cabinets, Geiger counters, and gas regulators. Pressure Vessel Safety – this video from the U.S. Chemical Safety Board explains the codes and standards necessary for safe pressure vessel usage. UCLA – University of California, LA, has a library of safety videos covering lab PPE, fire safety, use of pyrophoric liquids, and safety culture in the laboratory. UC San Diego – University of California, San Diego, has a library of safety videos on best practices for fume hoods, compressed gases, and flash chromatography. 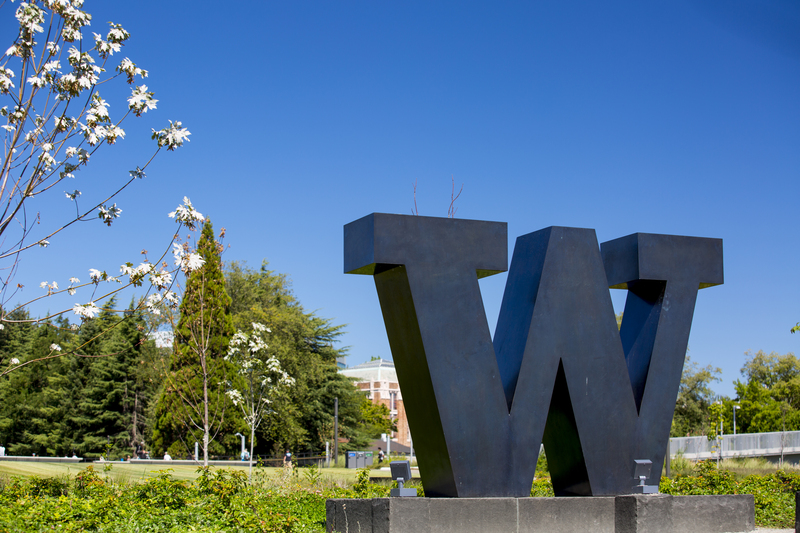 Refer to the Recent UW Safety-Related Incidents Focus Sheet for information on safety incidents that have occurred on UW campus during the past year. University of Hawaii lab explosion – March 17, 2016. Investigators say a laboratory explosion at the University of Hawaii that resulted in a researcher losing her arm was likely caused by static electricity. University of Rochester lab explosion – February 29, 2016. A graduate student at the University of Rochester was taken to the hospital after a small chemical explosion in the lab. Los Alamos National lab electrical accident - May 3, 2015, an electrical accident at a Los Alamos National Laboratory substation injured nine workers, burning one so severely he was hospitalized for more than a month. Safety failures at Army lab led to anthrax mistakes – A report released in January, 2016, stated that a brigadier general who led an Army biodefense lab in Utah is among a dozen individuals facing potential disciplinary actions for failures that contributed to the facility mistakenly shipping live anthrax to other labs for more than a decade. Safety violations cited at CDC labs – An investigation to uncover details about accidents at CDC biolabs where experiments are done with highly infectious pathogens was published in June, 2016. Tracy Harvey, Ph.D., Lab Safety Survey & Fume Hood Programs Manager, and Alex Hagen, Lab Safety Mentor, will conduct the surveys of the pilot group and work with them one-on-one for the duration of the initiative.